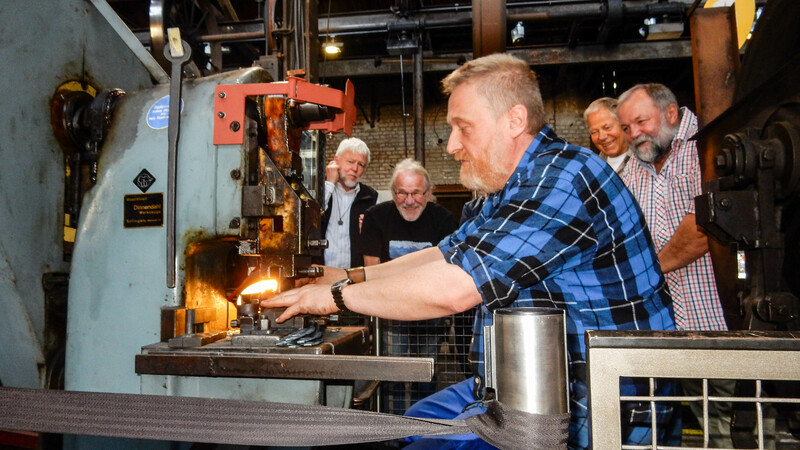 Solingen in Germany is called the "City of Blades", since it has long been renowned for the manufacturing of fine swords, knives, scissors and razors made by famous firms - actually, this began in medieval times! 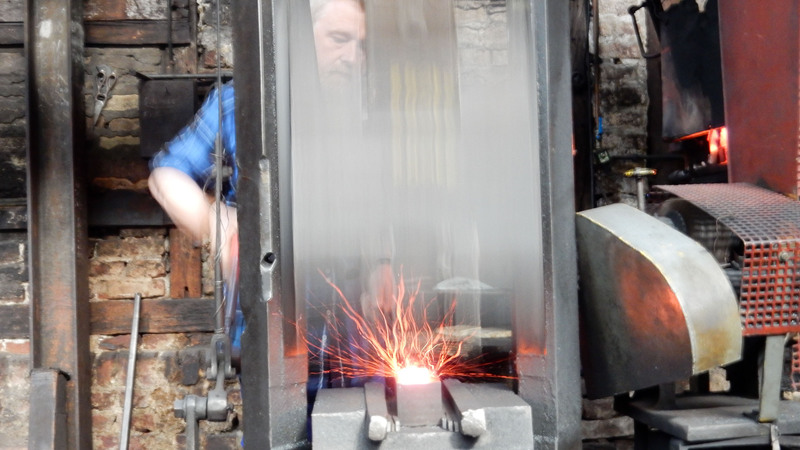 Apart from some troubles when in the latter part of the 17th century a group of swordsmiths from Solingen broke their guild oaths by taking their sword-making secrets with them to England, the tradition of forging steel to produce world class swords and household utensils such as knives and scissors has continued unbroken. 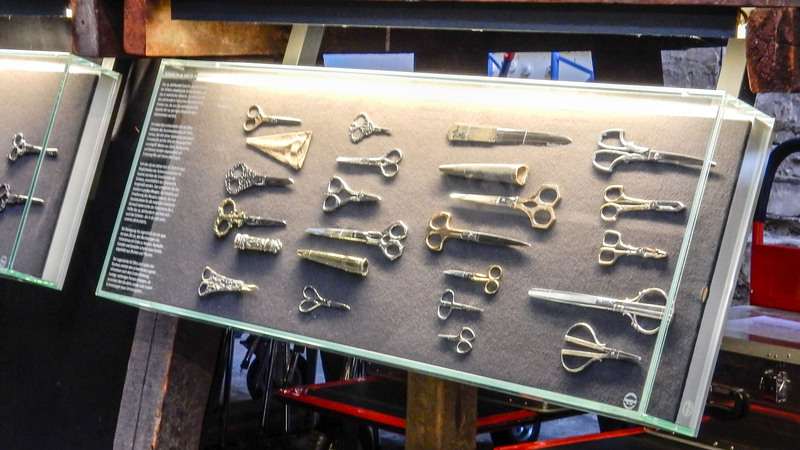 I was invited to a visit at the regional Industrial Museum "Gesenkschmiede Hendrichs" today and was impressed by a complete and fully functional arrangement of a factory which was founded in the 1860s and produced scissors of different functions and sizes for a century until 1986. A fascinating venue for any visitor with an interest in technology and working conditions in the last 100 years. Solingen gleich Messer und Scheren?! 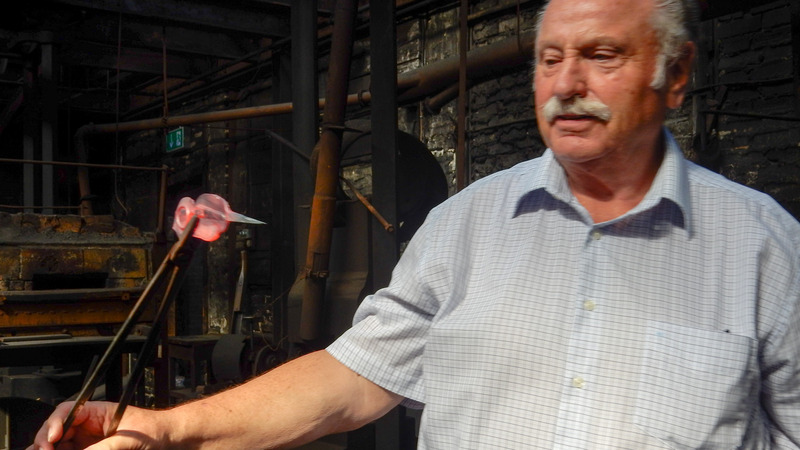 Es lohnt ein Besuch im Industriemuseum Gesenkschmiede Hendrichs in Solingen! War wirklich spannend und informativ! 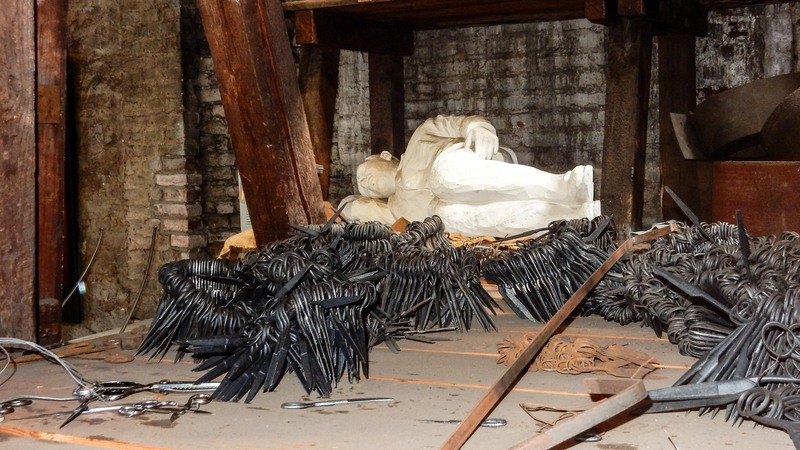 Die Führung führte uns direkt in die Arbeitsbedungungen von vor 50 bis 100 Jahren zurück. Beeindruckend!